Today is the kick-off for the #LightTheWorld Christmas initiative. The idea is that each day until Christmas, we will be inspired by someway that Jesus provided service to others, and we will do a similar service. My youngest daughter has a lot of compassion, and is concerned about the homeless people we see around town. 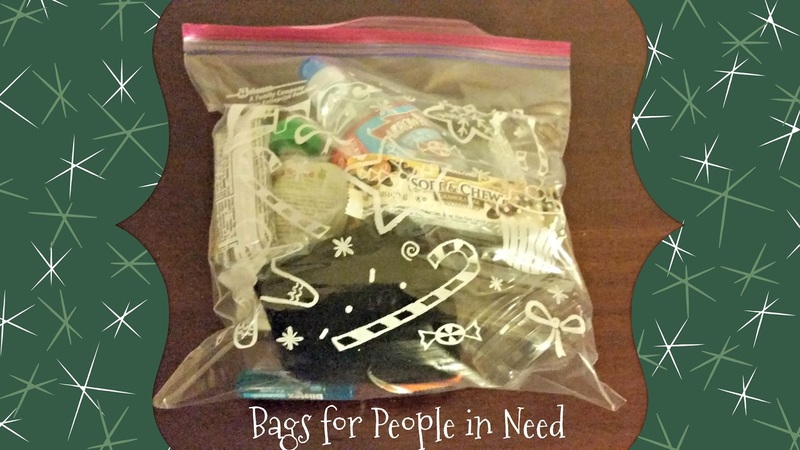 We decided that to start our participation with #LightTheWorld, we would assemble kits that we could give to people we encountered who were begging for food or money. The kits were simple, but hopefully met some needs. 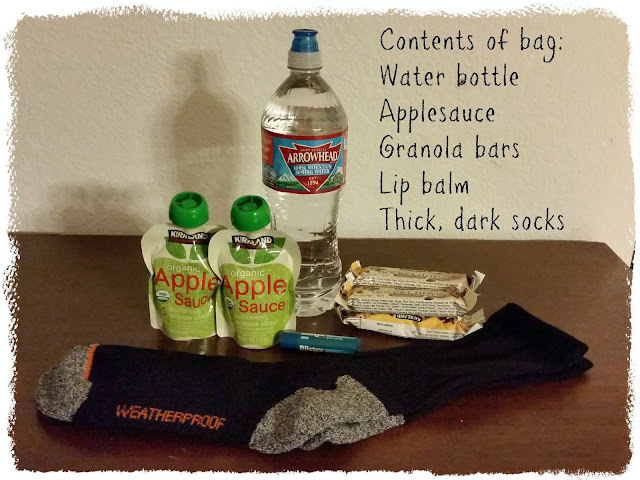 Inside a gallon-sized plastic bag, we placed: a pair of heavy, dark socks; a bottle of water; applesauce; granola bars; and lip balm. This morning we are going to drive around town to all the places where we usually see people holding up signs asking for help. I know this won't solve the bigger issue of homelessness, but I hope that in some small way, these kits will lift individual burdens. How will you lift a burden today?